It's official: Karl Lagerfeld, an avowed bibliophile, has joined the Information Age. 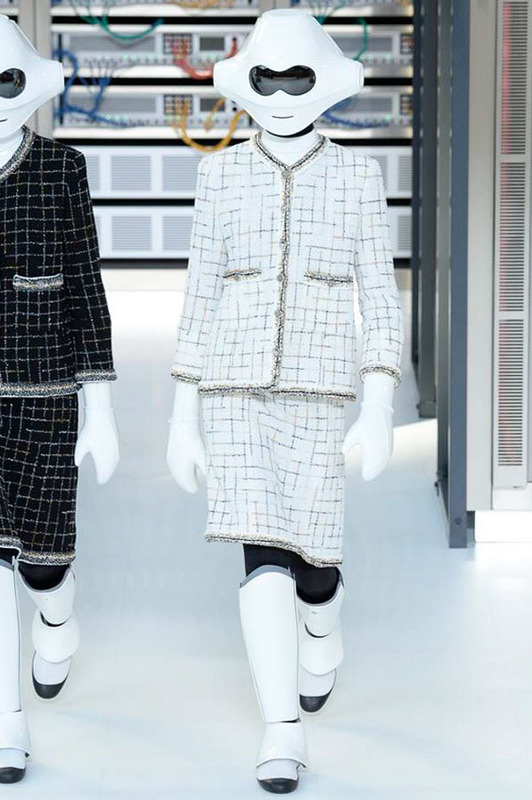 Data centers, in all of their wired wizardry, were the theme for his Chanel show this morning, with laser prints, security-clearance necklaces, hacker caps, and two friendly robots who opened the show. 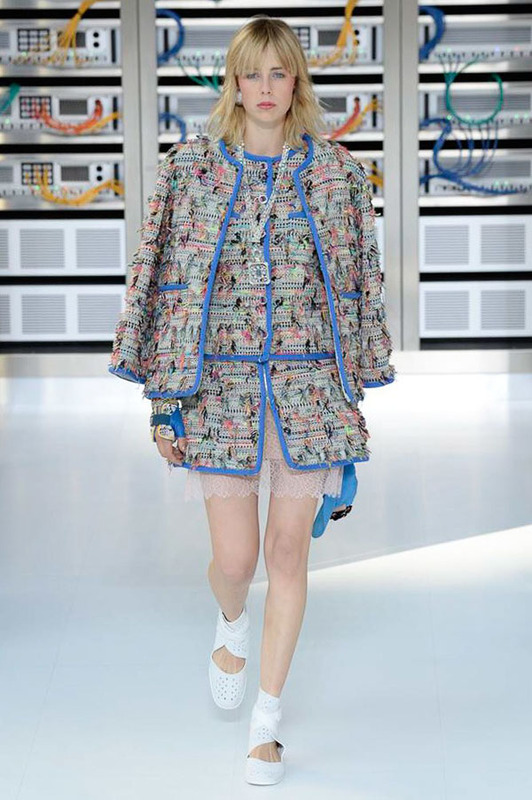 When you think about it, Lagerfeld's intricate tweeds for the house already resemble circuit boards. All of which begs the question: What would Karl search for?